This entry was posted on August 14, 2014 at 10:05 pm and is filed under Mathematics, Physics. You can follow any responses to this entry through the RSS 2.0 feed. You can leave a response, or trackback from your own site. First, what the Schrodinger equation actually states is that energy is conserved at the quantum level. It also states that what we call the Lagrangian applies, from which it follows that the virial theorem applies at the quantum level. As stated, an equation is effectively a sentence. It says A is equal to B; nothing more. To state that mathematics defines the universe is simply wrong. To say it describes the Universe is far better. The fact is, one can come up with a number of mathematical theories that observation shows are simply wrong. Unfortunately, at the quantum level there is a requirement to interpret your observations, which has led to problems. Agreed. Some of the problems are purely semantic (yet drastic). Physicists say more than they know, sometimes (concept of particle or photon being the number one exhibit), and sometimes not enough (we have evidence that the world is made of particles, yes, but also many-slits “states”, so to speak… Yet these states that I christened as many slits states are not the “collapsed”, or final, states spanning the Hilbert spaces themselves. That’s a subtlety which seems to escape completely the multiversists, and at the core of their error. I think Tegmark, when he said the Schrodinger equation (truly found in De Broglie thesis, BTW) says particles are everywhere is alluding to simply the fact “”””particles””” behavior is described by waves during fundamental processes. 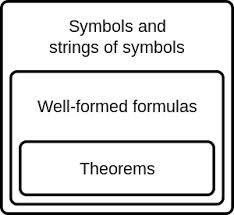 In general, mathematics describes rules (“theorems”), under certain conditions (“axioms”). Depending upon the domain selected, that can be more or less valuable. I view all math resting irreducibly on the concept of infinity as false. “Irreducibly” being the important word. mathematics itself is evolving, so i doubt you can use the 21st century maths to define/represent the reality of 25th (or 100th) century. though, mathematics can be used to understand(logically) anything after the fact. If it couldn’t be done, they will invent new math 🙂 The cycle goes on. What are we talking about again ? I think when people start talking about facts they enter into a state of hubris blinding themselves to the possibility that they may be wrong. Much of what the individual senses is nature is a matter of perception, which differs from individual to individual. I follow Heraclitus in considering the only truth worthy of knowing to be common patterns that repeat. I accept that these patterns that are common are only true when all the variables are similar, but might change if any variable changes significantly, for instance the moon does not teleport but an electron does. I can only say that it is probable that a pattern will repeat, like the metaphorical white swans, but I am humble in accepting the possibility of a change to the pattern, a black swan. Nothing can be said to be fact, nor can anything be deterministic, nature is too random and there are too many variables. I consider that as common patterns repeat; that there can be ten roses. ten stars, ten galaxies, there can be many universes too. It is hubristic to say with so much certainty that there is only one universe, it denies the pattern of nature that loves diversity, multiples and repetitions. When I write about nature I incorporate everything, be it one universe, or many; I reject universe, I think nature is a better description of the reality we exist in. Some of the ancient philosophers describes everything in nature as of one core pure material, some name “the boundless”, it is out of this principle material all things arise. These same philosophers such as Pythagoras describe this primal material as having both an unlimited and a limited state. The limited state is that part of nature that we see, where it is possible to apply mathematics, but scientists miss the other face of nature, the unlimited, which has an impact on the limited face of nature, but this unlimited is beyond the measure of mathematics. Since the limited side of nature is expressed as patterns, mathematics is the language of these patterns, and it is a good method to describe these patterns in numbers. 1) Why do you say electrons “teleport”? 2) One of my gripes with conventional math is the notion of “infinity”. I view the initial proof of Euclid as false (call me more modest than other mathematicians!). Modern logic has several dozens of kinds of infinities. So they assuredly considered the “unlimited state”. The argument you found that, if one sees one universe, there should be more than one is explicitly used by Tegmark (although I did not report it). Universes are like cockroaches. However, the problem is one has never seen a different version of a fundamental physical law. 1. I think it would be clearer to say that information teleports between two electrons rather than the electrons teleporting, though I am open-minded to that too. Experiments have shown information can teleport between two electrons in a state of entanglement. 2. Raw chaos is infinite since it has no direction, form or pattern due to its random nature. Quantum states can be somewhat “teleported”, indeed. But what Tegmark pretended, that a particle can be in two places at the same time, is bad sci-fi (although I considered it a bit myself, somewhat, long ago, before rejecting the idea as too much too soon). Tegmark’s business model is good: even I bought his book. However I got quickly bored, and read just a handful of pages.